Listen: The Federal Empire - "What Are We Fighting For"
Premiering yesterday on buzzbands.la, The Federal Empire’s new single “What Are We Fighting For” is a fine effort centered around a stadium-sized chorus and sampled old church choir. 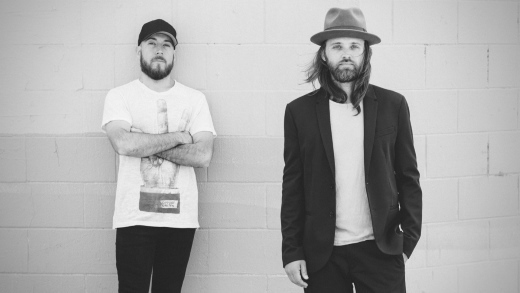 The track’s folk-driven bounciness shows off the talents from L.A. duo The Federal Empire, comprised of Chad Wolf (Carolina Liar) and McKay Stevens (Grammy-nominated for Kaskade’s “Atmosphere”). The track’s chorus, with the title its lyrical focus, is a stampede of brisk energy and polished musicianship, the melancholic twangy addition at 02:40 a nice production choice in particular. If you dig wonderfully expansive folk-rock, The Federal Empire will likely be your cup of tea.